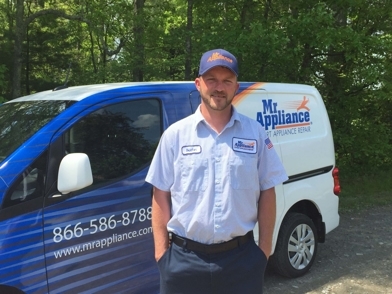 At Mr. Appliance we’re not just another service team—we’re a family, and our work is an opportunity to spend time with our community and help people keep their households running. That’s a role that we are honored to have, and we love what we do and who we get to work with. 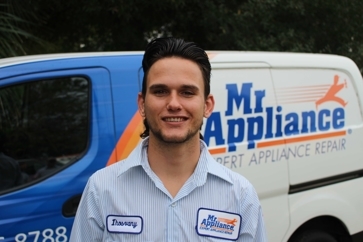 Read our bios below to get to know a little about us and why Mr. Appliance can serve your home like no other repair service. 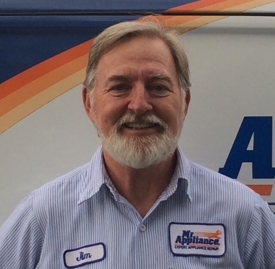 By far our most experienced appliance repair expert, Jim has been with our team for more than 11 years. Before joining us, he owned his own appliance repair service, and decided to come to us after working with a company he had been with for more than 20 years. What makes him such a great friend and mentor is he understands the struggles and obstacles that an appliance repair company faces, and he helps us navigate them while providing the best service possible. Jim enjoys married life with his wife Helene, and together they have 3 grown children and 3 grandchildren. 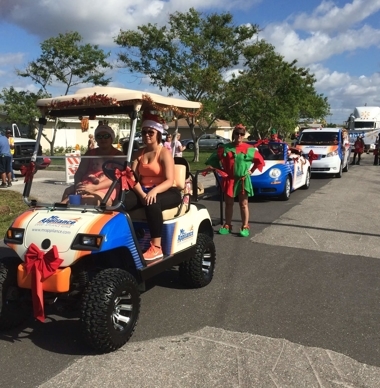 They are deeply involved in the local Boy Scouts troop, impacting the lives of young men throughout the community, including their own grandsons. Jim and Helene also take in foster dogs until they can find a healthy home for them. Jim lives his life with an amazing sense of humor and his willingness to mentor the young people around him. Matt has been with our team for about 3 years. He was originally trained in automotive repair, but quickly picked up the appliance trade as he was apprenticed. Within 30 days, he was running his own service calls and providing repairs like a pro. His family lives nearby, who have deep ties to the commercial fishing industry. He enjoys spending time with Linsey, his girlfriend and registered nurse at a local hospital, and his dog. Thanks to his roots, Matt loves being on the water with his family. Most of all, he loves fixing things and enjoys tinkering with the latest gadgets and technologies on the market. Dustin has been with us for a year now, but we’ve known him a long time prior to that. Before joining us, he was a truck driver for Anheuser-Busch Company. His professional experience is in heavy equipment repair and welding, making him our heavy duty repairman. He handles all types of services, including the company’s dryer vent cleaning jobs. As a lover of the outdoors, he has been spending the last year taking in the scenery of western North Carolina. Dustin and Amanda have two dogs named Buddy and Sissy, and the four of them spend time together going on hikes and exploring waterfalls in the area. In another time, Dustin was a skilled professional bull rider, but decided to change careers after an injury. Before joining our company, Shandra had a first career as a Licensed Practical Nurse. Shandra decided to take a break from nursing to be a mom, and found that being a part of the Mr. Appliance team gave her the flexibility she needed as a parent. Two years later, she’s leads our Business Development team, focusing primarily on managing our call center and our direct marketing efforts. 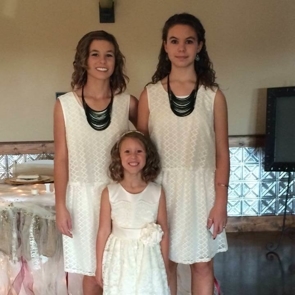 She’s married to Andy, one of our repair technicians, and together they raise their daughters Ava and Allie. As a family, they love watching movies together, shopping, and spending time outdoors. 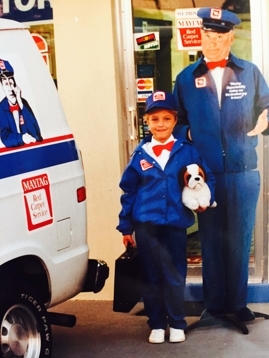 For nearly a year, Andy has been one of our service repair techs while handling dryer vent cleaning in both our North Carolina and Florida markets. He came to our team after completing the EMS Course and Fire School, but decided to change course when job placement became an untenable challenge. We’re thankful for that! Andy’s uniquely friendly demeanor and personal touch makes him a great addition to our team, and our customers love his personality (as well as his ability to speak Spanish). When he’s not on a service call, Andy loves cooking Mexican food just like his mother taught him. 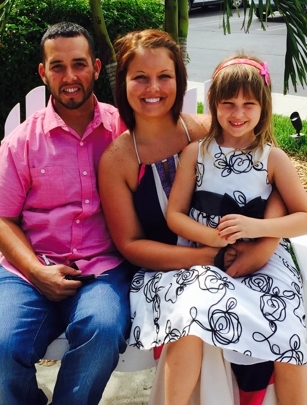 He cooks for his wife Shandra (our Business Development head) and their two girls, Ava and Allie. When he’s relaxing with his girls, he can be found reading books, playing school, and watching TV. He also loves restoring classic cars, and has owned more than a few in the past. 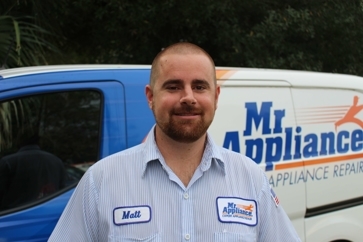 Matthew joined us only six months ago, but has already proven to be a great service technician for our team. Before joining us, he worked in the computer repair industry, so he brings with him a great deal of customer service experience in the field of home repairs. Matthew spends time with his wife Crystal enjoying painting and wine, or with his son Christopher sharing his love for exotic animals. For nearly 6 months, Ihosvany has been a friendly and welcome part of our team. His experience in home service and customer service comes from his previous job as a Comcast troubleshooter and installer. He runs services on all brands, and with every call demonstrates his love for helping others. He is eager to please, and his Cuban background is often a point of appreciation for our customers. Outside of work, Ihosvany spends time with his dog and his family. He also loves fast cars and motorcycles, but has thankfully avoided getting a traffic citation so far. His father brought their family to America from Cuba just 5 years ago, so Ihosvany is fluent in Spanish (which our customers love!). Marla joined the company in January 2016, but she’s worked with us for a long time before that. She originally worked at our corporate headquarters in Waco, TX, but came to work for us as a member of our Business Development team. She works on our marketing efforts while helping manage our call center alongside Shandra. She and her husband Reed have 3 girls: Presley (16), Berkley (14), and Charley (6). She enjoys spending time with her family, shopping, and being with her girls.